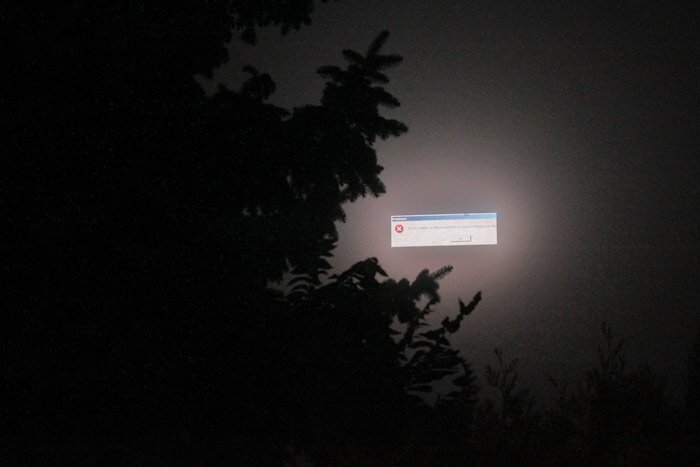 This Windows XP error message, seemingly hovering in the sky, is the result of crashed software running a liquid crystal display billboard. 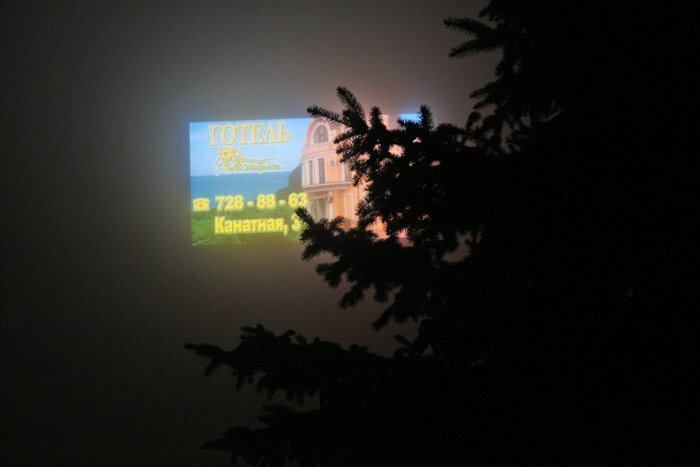 The photograph was taken in the foggy town of Odessa, Ukraine. Check after the jump to see what the billboard looks like after being rebooted and in working condition.